Congratulations to those students who have been offered admission to the University of Central Florida! We are excited to have you join the UCF community. Once you have admission to UCF and are planning to attend, you have several steps to take. The links below will guide you through some of the steps and offer suggestions to make the process go smoothly. After receiving admission to UCF for a degree program, you will have to apply for a visa to enter the United States. – You will receive a packet from UCF Global containing your I-20 form and other related information. – You will use the I-20 to pay for the SEVIS Fee and apply for the F-1 visa (student visa). Please see below some tips and detailed F-1 Visa application information. Take a moment also to watch the videos where students explain the process. Click here For locations of U.S. embassies and consulates. Click here for a detailed F-1 visa application information. All F-1 international students need to complete an online orientation in Webcourses. This orientation was created to provide you with the important information you need to know before arriving to campus to help you have a smooth transition to university life in the United States. You will automatically be added to the Online International Student Orientation in Webcourses and you should complete it prior to your arrival to the USA. To begin your online orientation, log into Webcourses using your NID. If you do not know your NID, you can locate it here. a) The Online Orientation is designed to take about 1 hour and consists of six modules with a quiz at the end of each module. You must receive 100% on each quiz in order to complete the Online Orientation. b) The Online Orientation will instruct you how to register for your mandatory in-person Immigration Check-In Session in the “Arrival Information” Module. You will be prompted to sign-up for your check-in session in the “Register for your Mandatory Check-in Session” section. Please plan to arrive to UCF early enough to attend your Mandatory Check-In Session. Keep in mind F-1 Students making an initial entry into the USA with a valid F-1 visa can arrive up to 30 days prior to the program start date listed on the I-20 (you will find the earliest admission date to the USA listed on your I-20). Immigration Check-in session. At your check-in, you will meet with a UCF Global advisor to complete an arrival form to provide your local address and phone number. Your holds will be removed once you complete the International Student Online Orientation and you have attended your Mandatory Check-In Session. The “New Student” hold will not be removed until you have arrived in the USA in F-1 status and completed the check-in process during your scheduled Check-In Session. After you attend your Mandatory Check-In Session at UCF Global, you will attend Global Knights Welcome Event. This is a large, fun event where you will have the chance to connect with other international students, get updates on important information you need to know for your first few weeks at UCF, and meet with student organizations and campus partners. There will be activities and lots of fun. See you there! 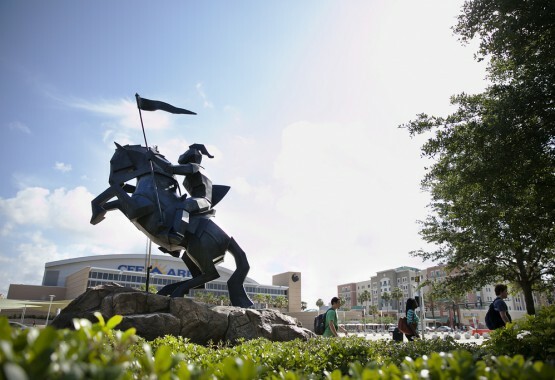 F-1 students transferring to UCF from another US Institution, will need to have their I-20 record electronically transferred to UCF in the Student and Exchange Visitor Information (SEVIS) system. Please ensure you have submitted all required immigration documents listed on the F-1 I-20 Documents Checklist to UCF Global prior to proceeding with the next steps listed below. 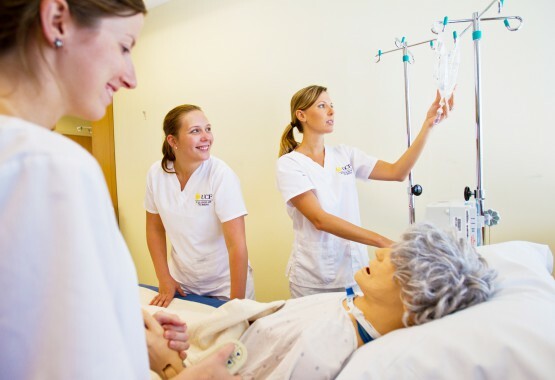 You should also have contacted your International Advisor at your current institution for guidance on procedures they may have in regards to their transfer process and the scheduling of the release your SEVIS record. All F-1 international students need to complete an online orientation in Webcourses. This orientation was created to provide you with the important information you need to know before arriving to campus to help you have a smooth transition to university life in the United States. You will automatically be added to the Online International Student Orientation in Webcourses. To begin your online orientation, log into Webcourses using your NID. If you do not know your NID, you can locate it here. Undergraduate Transfer Students are required to attend the UCF Undergraduate Orientation for Transfers. Please click here for more information. Graduate Transfer Students may be required to attend an additional orientation session provided by their college or department. We encourage all new graduate transfer students to attend the Graduate Orientation hosted by the College of Graduate Studies –for more information, click here. To meet F-1 regulation reporting requirements, all new transfer students are required to attend an in-person Immigration Check-in session. At your check-in, you will meet with a UCF Global advisor to complete an arrival form to provide your local address and phone number. These holds are temporarily lifted for admitted transfer students who have submitted all required immigration documents and permanently removed once you complete the International Student Online Orientation and you have attended your Mandatory Check-In Session. If you have not completed STEPS 1 and 2 prior to start of classes, you will not be able to register for or change your class schedule until your holds are removed from your student account. After you attend your Mandatory Check-In Session at UCF Global, you will attend the Global Knights Welcome Event. This is a large, fun event where you will have the chance to connect with other international students, get updates on important information you need to know for your first few weeks at UCF, and meet with student organizations and campus partners. There will be activities and lots of fun. See you there! 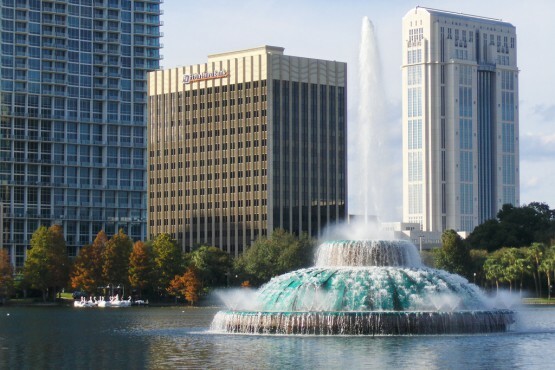 UCF is proud to offer a variety of residential communities to its students. Students are encouraged to apply for on-campus housing as soon as they have been admitted to UCF. Most students choose to arrive at the Orlando International Airport (MCO). It may be helpful to arrive early and stay in a hotel while you decide where you want to live. You will have to purchase health insurance while you are an F-1 student. You also must show you have received immunizations or show proof of immunity to several diseases. If you are a New F-1 Student from Abroad, please click here on information on how to register for the Mandatory Check-in Session. F-1 Transfer Students currently in the USA can find information on how to register for the Mandatory Check-In Session here. * Students attending a Late Check-In Session cannot register in classes until they have completed their Check-In Session and all other holds have been removed from their student account. Due to this, students attending the Late Check-In Session will be subject to the $100 late registration fee since class registration will occur during the late registration period. For more information on Graduate Teaching Assistant (GTA) training requirements, visit the GTA Information webpage. Graduate Students will be able to register for classes during orientation or during the add/drop class enrollment period.